Dr. Shweta Saraf is a renowned Pulmonologist in Rakhial udyog vistar, Ahmedabad. She has had many happy patients in her 1 year of journey as a Pulmonologist. She studied and completed DNB. 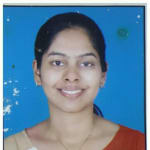 She is currently associated with Narayana multispeciality hospital in Rakhial udyog vistar, Ahmedabad. Book an appointment online with Dr. Shweta Saraf and consult privately on Lybrate.com. Lybrate.com has a number of highly qualified Pulmonologists in India. You will find Pulmonologists with more than 25 years of experience on Lybrate.com. Find the best Pulmonologists online in Ahmedabad. View the profile of medical specialists and their reviews from other patients to make an informed decision. I feel strange that I am suffering from polysomnographyShe is not just friendly, but also is very motivating. So many doctors I consulted, but her treatment was the best. The facilities available in the Shweta's Clinic are very nice. Shweta Saraf Gargiya has so much knowledge that for everything my family takes her reference. A month back my father meet an accident, He is diabetic, 5 years back he suffered with spine TB. He under gone for medication for 1 year and become normal, he had heart problem too. During treatment for accident injuries, Spine TB is detected for L3 with MRI spine and L3-4 height reduced ,surgery is suggested but due to 37% of LV dysfunction of heart detected by angiogram, doctors suggested medical management. He had an injury on right frontal of head. CT scan shows small contusion in right frontal region and NO MASS EFFECT/MID LINE SHIFT. But he is abnormal now. He can able to recognize person but not able to handle situations and has irrelevant talk. Doctors saying that, he takes some time to become normal Does spine Tb effect brain/behavior? You can go for endoscopic spine surgery which is safe for such pt. Biopsy can be taken during that time as no test confirns diagnosis apart from tissue diagnosis. Sir I suffering since last 2 year's for my medical issues sir mere chest me fibrosis old Koch hai mujhe iska treatment karana hai iske wajha se mera Kuwait ka medical unfit hogya hai please mujhe koi aisa treatment suggest kare jisse ye old Koch khatam Ho jaaye. The shadows in xray will not resolve have ct chest and sputum reports done once it becomes clear it is not active they will not stop for visa. Dear sir, I am 25 year old jab main subha me washroom jane ke liye 1 glass water pita hu but jab main brush krne jata hu to mujhe Omitting hota h jab tk pura pani bahar nhi nikal jata piya hua tb tk hota hain. Immuno Shots - How They Can Help You? Immuno Shots or allergy shots, in other words, are known as allergen immunotherapy. As the name suggests, it provides a complete relief from severe allergies for longer durations. Severe allergy symptoms can play havoc with life and can curtail your daily activities. You can opt for immuno shots when none of the other treatment plans are working out. Allergies can be due to many reasons, such as dust mites, pollen, feathers, insect bites, pets and pollution. How can immuno shots benefit you? Who can go for immuno shots? They also work effectively on allergies caused by dust mites, pollens, pet dander and bee stings, etc. Pneumonia se bachne ke liye upaay bataiye please. Kya care lena chahiye? Excercise kya karna chahiye? Diets? What is exercise-induced asthma? — exercise-induced asthma is when a person with asthma has breathing problems during or after exercise. Doctors often call it" exercise-induced bronchoconstriction" instead. That's because exercise does not actually cause asthma. But it can trigger symptoms in some people who already have asthma. Symptoms happen when the airways in the lungs become narrow and inflamed (figure 1). In people with exercise-induced asthma, this usually happens about 10 to 15 minutes after starting to exercise. In most cases, the symptoms go away after about 1 hour. These symptoms are different from shortness of breath that happens during an asthma" attack" or flare-up. A person having an asthma flare-up might have more trouble breathing if he or she tries to exercise. That's because the airways are already narrowed. ●an" exercise challenge test" – this involves using a treadmill or exercise bike for several minutes, then doing a breathing test. The test shows your doctor how your lungs are working. A similar test involves inhaling a special mixture of dry air while breathing fast, like you would if you were exercising. ●a test that involves breathing in a special medicine – for this, you do a breathing test before and after inhaling the medicine. If you have asthma, the medicine will cause your airways to narrow. Your doctor might also check for other problems that can cause similar symptoms. For example, people with vocal cord narrowing, lung disease, and some heart problems can have trouble breathing after exercising. How is exercise-induced asthma treated? — if you get exercise-induced asthma, you can treat it with a" quick-relief" medicine. It comes in an inhaler and treats asthma attacks or flare-ups. The medicines used for this are short-acting beta agonists (called" sabas" or" short-acting bronchodilators"). Examples of sabas are albuterol and levalbuterol. Your doctor or nurse will tell you how and when to use your inhaler. Most people need 2 puffs to relieve symptoms. If you keep having symptoms, you can take 2 puffs again after 20 minutes. If you get exercise-induced asthma, make sure you have your" quick-relief" inhaler with you anytime you plan to exercise. If you are having symptoms but don't have your inhaler, or if you still have trouble breathing after using it, call for an ambulance. Some people feel shaky after taking a saba. If this happens, talk to your doctor or nurse. He or she might switch you to a different medicine or lower your dose. Can exercise-induced asthma be prevented? — yes. First, it's important to take all your asthma medicines the way your doctor or nurse tells you to. Keeping your asthma controlled can lower the chances of having symptoms when you exercise. ●take medicine before you exercise – this usually involves using your" quick-relief" inhaler 5 to 15 minutes before exercising, to help prevent symptoms. Sabas are the medicines most often used to prevent exercise-induced asthma. But some people, such as children who are physically active many times a day, get another type of asthma medicine instead. If you exercise most days of the week and need your" quick-relief" medicine each time, your doctor might suggest an asthma controller medicine if you don't already take one. This is a medicine you take every day, even when you are not having symptoms. This way you won't need the" quick-relief" medicine as often. ●avoid exercising in certain conditions – very cold, dry air can make symptoms worse. If you do exercise outside on a very cold day, it might help to wear a loose scarf or mask over your nose and mouth. It can also help to avoid exercising in polluted air, or around pollen or mold if you are allergic. ●warm up before you exercise – some people find that a warm-up period helps prevent exercise-induced asthma. But this isn't true for everyone. Obstructive Sleep Apnea - Know Its Causes And Treatment!! Obstructive sleep apnea (OSA) is a medical condition in which the patient's breathing is obstructed for brief periods of time. Normally, air flows into the lungs at all times. But for a person suffering from OSA condition, the breathing pattern is hampered and the flow of the air is restricted. The flow of air stops because the airway space may be very narrow. Snoring is the biggest symptom of obstructive sleep apnea. All the symptoms that you might be experiencing due to lack of sleep will be experienced through OSA. They are periods where there is a decreased oxygen supply to the brain and as a result, you will be experiencing a disturbed sleep throughout the night. Some of the other symptoms can include headaches, forgetfulness, and drowsiness. Depression, hyperactivity and swelling in legs and daytime drowsiness are other common symptoms that can be associated with it. OSA is common in people who are overweight and people who suffer from obesity. There are 3 major types of sleep apnea. Obstructive sleep apnea: This is the most common type where the airway becomes narrowed or blocked. Central sleep apnea: There is no blockage involved, but the brain does not give out any signal to breath. Mixed sleep apnea: This is a combination of both - obstructive and central sleep apnea. The other factors that can cause OSA can include children with large tonsils, large tongue, and certain heart diseases. A diagnosis of sleep apnea begins with a complete history and physical examination. Your snoring patterns are analyzed and how rested your body is being taken into account. The doctor will also examine your head and neck to identify any physical factors that may be associated with sleep apnea. Mostly you might be asked to take a test at one of the sleep centers to identify your sleep patterns. The results would be analyzed for better identification of the treatment. Positive Airways Pressure Therapy, or PAP therapy, can prevent or reduce the serious health consequences of OSA. PAP therapy helps people with all levels of OSA, from mild to severe. It is most common therapy for OSA. There are different forms of PAP therapy. All forms of PAP help keeping the airway open during the night. These devices provide a stream of air through a mask you wear while you sleep. The airstream prevents your airway from closing, so you don't stop breathing and wake up during the night. The mask must fit and make a seal in order to keep throat open. A good mask seal will prevent air leaks and maintain the right level of air pressure. The amount of air pressure needed is different for each person. PAP is usually the first form of treatment for OSA. There are other treatments for OSA. You can talk to your health care provider about which treatment is right for you. If you are overweight, weight loss can help improve or eliminate your OSA. Oral appliances will use to treat mild to moderate OSA. They fit over the teeth and are worn during sleep. People with OSA may have surgery to reduce the tissue in their throats or to help them lose weight. Lifetyle of behavioral changes, such as quitting smoking or not drinking alcohol, can also help treat OSA. If you wish to discuss about any specific problem, you can consult a Pulmonologist. Symptoms And Treatment Of Chronic Obstructive Pulmonary Disease! The lungs are made of tubes through, which air passes in and out for exchange of gases, taking in alveoli. It is a disease of alveoli to which finer air conducting tubes are attached. Over a period of time, with age and exposure to various agents, these tubules get obstructed. The amount of air that can pass through these is reduced, leading to reduced oxygen supply to the lungs and thereby the various body organs. Chronic cough: Also referred to as smoker's cough, the cough is relentless and does not subside with regular cough treatment. This is one of the first indications of COPD. Mucus buildup: There is constant buildup of mucus which gets expelled during coughing. The person never feels completely clear of mucus, and the regular cough expectorants do not help relieve the symptoms. Fatigue associated with limited activity: As noted earlier, the reduced capacity of the organs limits their activities. Therefore, regular activities like walking short distances or climbing stairs can induce fatigue. Shortness of breath: The above fatigue is associated with shortness of breath, even with small physical exertion. A person with COPD will see marked tiredness and reduced ability to perform routine chores and feel a tightness in the chest. Wheezing: Passage of air through the obstructed air tubes produces a whistling sound or wheezing. It is more pronounced when there is mucus accumulation in the airways. Rarely, Frequent respiratory infections, more frequent flu attacks, swelling of the feet and ankles, cardiovascular disease, weight loss, and morning headaches. Pulmonary rehabilitation: A combination of breathing exercise and patient education to improve lung function. Oxygen therapy: In very severe cases, oxygen may be required. Lifestyle changes: Eating healthy foods, preventing exposure to dust and smoke, quitting smoking, breathing exercises, bi-annual medical check-ups to monitor lung functions are essential. If you wish to discuss about any specific problem, you can consult a Pulmonologist. I am 25 years old suffering from tb lymphadenitis. Completed 1 years course. Following are my scan reports. My doc has told I can stop my course but I want to take second opinion whether I have to continue with course or I .can stop. Two lymph nodes with loss of fatty helium found in bilateral supraclavicular region on left 11*4 mm and right 7*5 mm Lymph nodes with loss of fatty helium and heterogeneous echo structure located on lower jugular vein largest measuring 8*5 and 8*4 mm respectively.